The last and the best of the Calypso styled Nikonos. 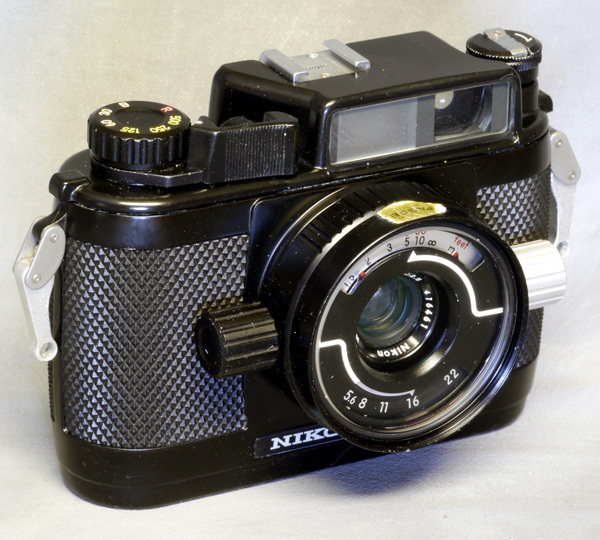 Due to functional improvements the body is slightly larger than the first two Nikonos. A completely revised advance lever with an locking switch, a rewind crank with a new sprocket system, and shutter speed selector are among the improvements. Also, additional frame lines are added for 35mm and 80mm.